A slow cooker is often associated with cold weather but sometimes it nice when the weather is warm to set up your slow cooker and keep the heat out of the kitchen. 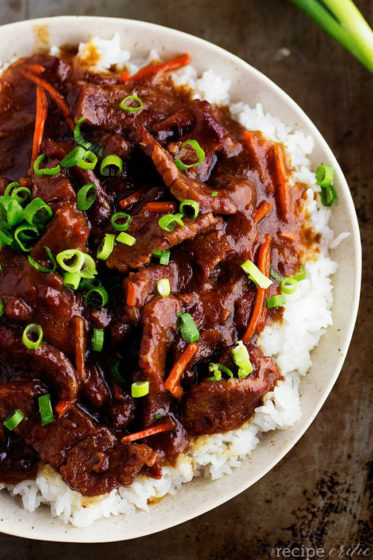 This recipe for Mongolian beef has just a few ingredients and is so easy to set up. Set up is just a few minutes and the payoff is melt-in-your-mouth tender, super flavorful meat. This recipe is bound to please everyone!